Kicking goals together for the first time, Kennards Hire has teamed up with Sydney FC as its newest Premium Partner. The partnership will see the leading multi-generational family-owned equipment hire group become the Sky Blues back of shirt sponsor. With a history of supporting grassroots and local club football, the partnership will take the equipment hire group’s backing of football to the next level. CEO, Angus Kennard, said Kennards Hire was delighted to be collaborating with the team recognised as Australia’s premier football club. “The entire Kennards Hire branch network is behind the Sky Blues and wish the team great success in the coming season,” added Angus. 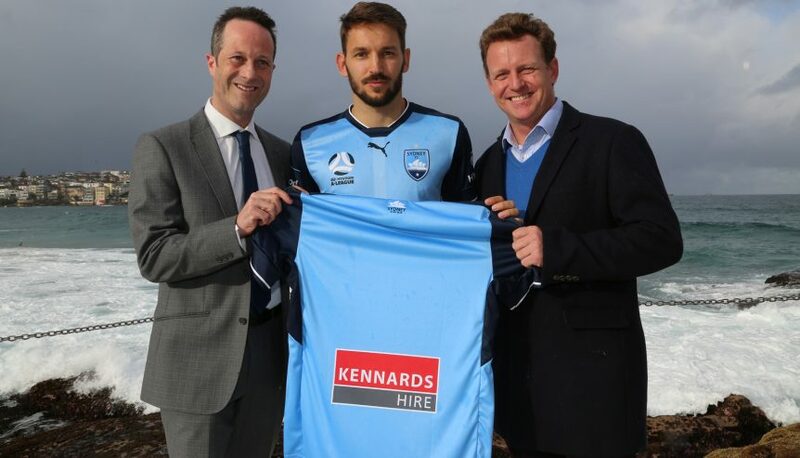 Sydney FC Chairman, Scott Barlow, said he is very excited to be working with Kennards Hire as a new Premium Partner, and believes the mutual relationship will be of great benefit to both parties. “I am delighted to welcome Kennards Hire to the Sydney FC Corporate Family for the next three years,” he said.